A mix of clouds and sun early followed by cloudy skies this afternoon. Slight chance of a rain shower. High 77F. Winds SE at 10 to 15 mph.. 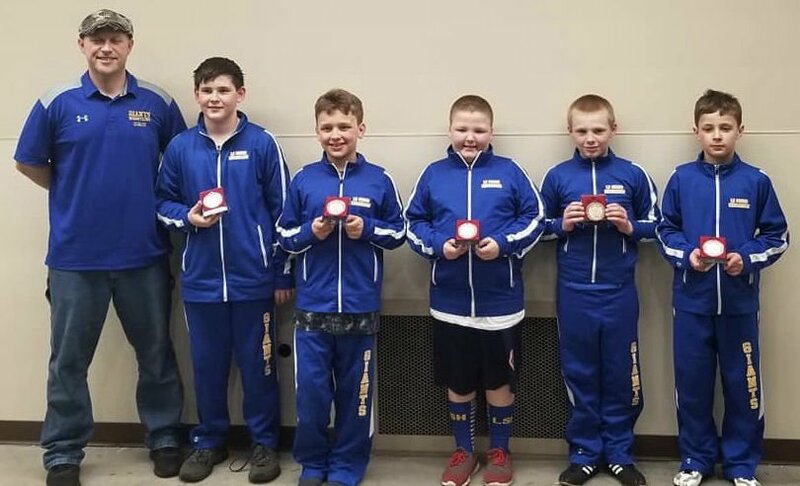 Le Sueur-Henderson youth wrestlers ended their season at the highest level April 4-7. The Giants took a trip to the Mayo Civic Center in Rochester at the Northland Youth Wrestling Association (NYWA) annual individual and team State Wrestling Tournament. LS-H sent 10 individuals to the individual state tournament and had five reach the podium: George Doherty (fifth/sixth grade) took fifth place in the 130lb weight class, Owen Greenig (third/fourth grade) took sixth in the 105lb weight class, Ty Boisjolie (third/fourth grade) took sixth in the 155lb weight class, Mason Johnson (third/fourth grade) took fifth place in the 90lb weight class and Colton Wilson (third/fourth grade) took third place in the 76lb weight class. Other Giants also competed at the state invite level: Peyton Tellijohn (fifth/sixth grade) took first place in the 130lb weight class, Luca Greening (fifth/sixth grade) took second in the 80lb weight class, Dalton Wilson (third/fourth grade) took first in the 72lb weight class, Waylon Thieke (third/fourth grade) took third place in the 72lb weight class and LeRoy Haaland (first/second grade) took third in the 50lb weight class. Seventh and eighth graders Jack Skubitz, James Loewe and Mark Boisjolie competed at the state level as well. 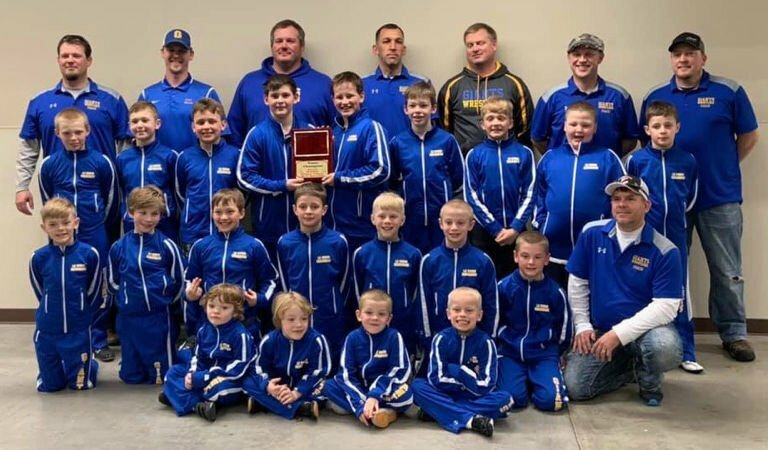 The whole K-6 team also participated in the state tournament for the first time in 12 years, coming back with a championship after taking first place in Pool 8 with three losses and two wins: losing to Big Lake 65-13, losing to Westfield 42-32, losing to Fulda 36-35, winning against UNC 61-23 and defeating Brainerd. The team dedicated its successful season to Mary Wilson. Reach Reporter Ashley Murtha at 507-931-8572.